Intermedia HostPilot | Strategic Business Systems, Inc.
HostPilot integrates your services, users and devices. It’s a “single pane of glass” for your cloud. It’s simple to add new services, manage app settings, respond to user service requests, get reports, and much more. Easily manage the devices that access your cloud services, set security policies and more. Our service level agreement guarantees less than 30 seconds of monthly unplanned downtime. Intermedia is SOC 2 audited, which attests to our high standards for security and privacy protection. Why is the control panel so important? Most companies, when they’re shopping for cloud services, don’t think about the control panel. That’s a mistake: nothing is more important to both admin and user productivity than a simple, powerful control panel. Accessible using a web browser, HostPilot is your command post for deploying cloud services to your workforce. 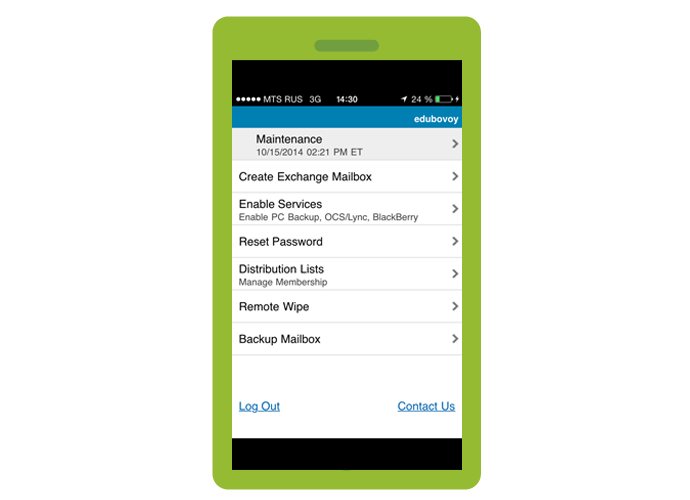 You’ll use it to manage your user accounts, services, and devices—including mobile device management. It keeps your cloud simple so you stay focused on business. But while it’s simple to use, it still offers on-premises levels of control. While HostPilot makes the admin’s job easy, Intermedia makes it worry-free. That’s because we offer 24/7 admin phone support, a 99.999% uptime guarantee, integration and security. With HostPilot, I can easily provision new employees. It’s a great feeling to know we are in a place now where we control our own destiny.